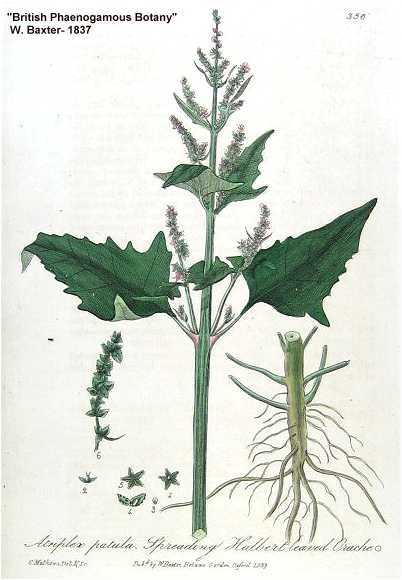 Atriplex patula.Robert W. Freckman Herbarium, University of Wisconsin-Stevens Point.wisplants.uwsp.edu (Accessed 5/2014). 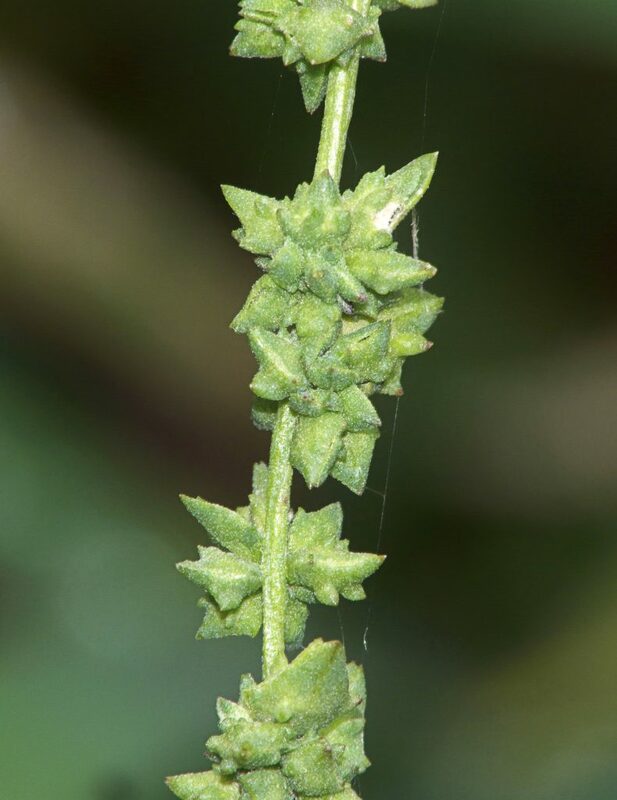 Atriplex patula is an annual C3 herb (Jacobs 2001), stem to 1 m, erect to prostrate, widely branching, slender, finely ribbed, gray-green, stem veins often reddish, especially at nodes. 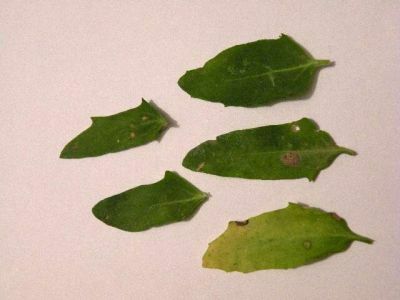 Atriplex patula leaves. Photo by Pino Perino. luirig.altervista.org (Accessed 10/2017). Leaves alternate above, opposite below, 4-12 cm long, larger leaves mostly arrow-shaped, tip pointed, base flat or with flaring lobes, corners sharply pointed outward, smaller leaves often lance-shaped pointed at both ends, upper leaves often linear; slightly fleshy, surface gray-green, silvery, mealy-textured. Atriplex patula. inflorescence, uitstaande_melde_bloeiwijze. commons.wikimedia.org (Accessed 10/2017). Flowers green, tiny, sexes separate on same plant (monoecious); inflorescence of dense spikes, in axils of leafy bracts and branch tips, upper inflorescence interrupted spikes, July-Nov. Self fertile, wind pollinated but also visited by syrphid flies that eat pollen (Bassett and Munro 1987). Fruit dry, tiny, 1-seeded, enclosed in 2 triangular bracts with low horn-like protuberances, tuning red at maturity. Seeds eaten by some birds. Habitat: Weed of open, disturbed areas, moist fill, parking lot edges, shore areas, high salt marsh, salt tolerant.